Penguin Books, 2006. 276 pages. 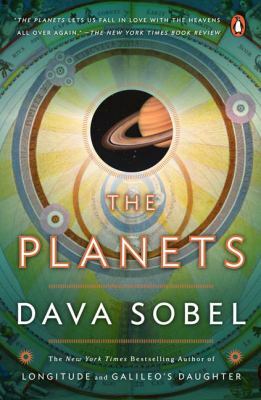 Popular author Dava Sobel (Longitude, Galileo's Daughter) once again delivers a lovely blend of science, mythology, and poetry in this fascinating look into our solar system. In this work, Sobel dedicates a chapter to each of the major celestial bodies of our in our galactic neighborhood, with delightfully playful chapter titles such as Genesis (The Sun), Sci-Fi (Mars), and Music of the Spheres (Saturn). Though science is certainly present, factoids are not the main focus here. The history of discovery of each celestial body, as well as mythology and interesting factoids, is woven into each chapter, making this an accessible read to anyone interested in the movements of the heavens.